People of all races, religions, sizes, backgrounds, personal opinions will tell you a different theme on how they view faith and how they individually practice worshipping their God(s). Reasons associated with childhood, structure, limitations, as well as fear have most people staying within the boxed in lines. They’re scared to learn, afraid of influences of the world, and most of all, influences of their own mind and their own inner spirit. I’ll even go as far to say that as children, we have been all brainwashed with a theory, a “truth”, a belief system, or a lack thereof. Most cling to that belief system, and very few people jump outside that box, to find out what God really wants them to do. Worshipping God is a personal thing. Some like to meditate before prayer time. Others simply enjoy walking out in nature to experience God’s beautiful creations. Some, will go to a church to congregate with others. Everyone has their own way. For me, fellowshipping with other “Christians” has left a bad taste in my mouth. Most judge and ridicule every single move we make, casting us into a fiery pit of hell. A ton of Christians scare others away from God, which is the worst sin of all. This is what the bible teaches us. 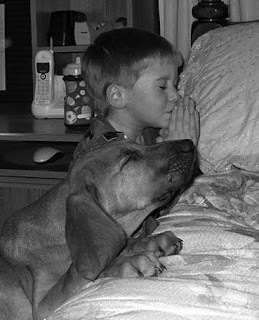 It doesn’t mean we have to pray like this all the time. The point of this is, don’t be so limited upon your prayers to God. Don’t ramble on the same redundant prayer over and over again without any heart in it. For me, speaking to God as if He was right here is what works for me. I speak to Him anywhere, in the car, in the shower, outside on the hammock and even when I’m among other people, I’ll say a prayer in my mind. My favorite way is early in the morning, facing the east side of my house overlooking the beautiful views of the mountains and lakes. I sit quitely, listen to meditation music, calm myself, and then pray. I try to listen for Him, instead of doing all the talking. There are many times in the evening where I find myself lighting many candles, alone, just meditating upon His presence. It usually surprises me when someone criticizes another person of faith about how they pray and worship. Be unconventional; pray the way that fits you. I’ve even went so far to pray like the Muslims do. Catholics kneel to pray sometimes- this just takes it a step further. Communication with God isn’t limited. Some people are completely uncomfortable with the conventional ways of praying. How does one know the truth without seeking answers? I’ve come across many Christians who claim they “know the truth”. Not one person “knows the truth”, however, many believe what’s “true to them”. And we can’t argue with them about it. It’s “their truth”. Even the bible tells us that we still do not know the truth. We rely on faith. Our faith- being our ‘own’. The stress, anguish, resentment, criticism, judgment of people of the Christian faith comes from insecurity of their own destiny. If you think about it, if everyone was certain about their destiny, no one would be arguing. No one would be bickering over what’s right or what’s wrong. There would be peace on earth and one belief system- because it was revealed as the truth. So then, what’s the point of arguing, if no one knows for sure what the truth is? How can a mere person try to save another, when the other person’s belief may be the right one?